Infertility clinic near you Sacramento, Davis, Dixon, Woodland, Vacaville, Fairfield, Napa, Vallejo, and Lodi. Also serving Redding and Fresno! Achieving positive results by providing patients cutting edge services in a patient-friendly and relaxed atmosphere. Your satisfaction is our top priority. We strive to make the process of fertility investigation and treatment a positive experience. We are proud of our family-like atmosphere and strong commitment to patient education. Combining the latest technology with compassion and individualized care, will ensure that our family can help you grow your family. 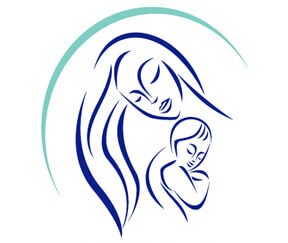 In December 2004, California IVF: Davis Fertility Center, Inc. opened it’s doors for business. After months of preparation and quality control, the clinic was ready to meet the challenges of providing advanced fertility services. The new center features state of the art technology including the most advanced embryology equipment and modern air filtration system. With the assistance of engineers, the embryology lab was able to exceed “Clean Room 1000” specifications. This high level of air purification helps provide a less hostile environment and minimizes contamination from air pollutants. Combined with advanced incubators, heated work surfaces, and rigid protocols, California IVF is pleased to offer one of the most advanced embryology laboratories in the Sacramento area. We are a private practice clinic located in the heart of Northern California. You may reach us by any of the following convenient methods. You should also feel welcome to stop by and request information. For your convenience we offer free tours that will serve as an introduction to our clinic and services. These free tours are very useful for helping you understand the journey that lies ahead of you. Once you meet our staff, we are confident you will feel comfortable getting started by setting up your infertility evaluation and consultation. We are located on the south side of Davis, California next to Kaiser Davis. Davis is near Sacramento and is convenient to Woodland, Dixon, Vacaville, Fairfield, Suisun, Napa, Vallejo, Yuba City, Modesto, Stockton, and Lodi. We also extend our welcome to patients from out of state as well as our neighbors in Redding and Fresno. We also have office hours for new patient appointments in Roseville on the Sutter campus. This offers convenient access to patient in Roseville, Lincoln, Auburn, and even Reno. From Sacramento: Take the second Richards Blvd. exit going South – away from downtown Davis. From San Francisco: Take Richards Blvd. exit and turn left away from downtown Davis. Richards Blvd. becomes Cowell Ave. Once you are on Cowell, continue east. Drew Ave is the second left hand turn. This turn is located just past the Kaiser Davis clinic. After making a left turn on to Drew Ave. take the second right. Our clinic is located on the right hand side immediately after you turn. Suite 100. We strive to maintain a family-like atmosphere. Our staff is professional and courteous. We have your interests at heart. Everyone at California IVF truly loves what they do and it shows. To learn more about Dr. Zeringue and his staff click here. More information on pregnancy statistics can be found on our Success Rates page. One of our measures of success does not involve positive pregnancy tests. Though we have an excellent pregnancy rate, we pride ourselves on the satisfaction of patients that don’t achieve pregnancy. If these people feel they have received excellent service, compassionate care, and individualized attention, we know we are making a difference in their individual struggle with infertility. We try hard to get everyone pregnant. In reality, this is not a realistic goal. Trying our best with compassion and genuine care is noticed by our patients. No single statistic can measure a clinic’s dedication to their patients. The Auburn Blvd. and Davis locations have been combined into our new location. All of our fertility doctors and staff are now working in one centralized location.